Replete with the bizarre behavior of elevators, the numerous deaths of inhabitants and paranormal sightings by a writer in residence, "Mayflower Apartments," represents just one of the extraordinary tales that Al Chewning documents in his latest book. By delving into the creepy, unexplored avenues of Virginia Beach's past, Chewning entrances the reader with the spectral details of Blackbeard's buried treasure, a deadly stretch of road inexplicably responsible for eighty-nine fatalities in the past thirty years and the untimely death of a military wife, devilishly titled "Don't Make Mom Mad"--just to name a few. In a collection of forty stories gleaned from newspapers and personal interviews, Chewning sheds an eerie light on the prosperous tourist hot spot that is welcoming by day, otherworldly by night. A long-time resident of the Virginia Beach area and the owner of Ghost Tours of Virginia Beach, the author tells not only of reported sightings but also of his own spectral encounters. From a "wailing woman" in the old Coast Guard Station to supernatural activity provoked by the association of two friends, Chewning offers up spine-tingling apparitional tales that will shock and delight visitors and locals alike. 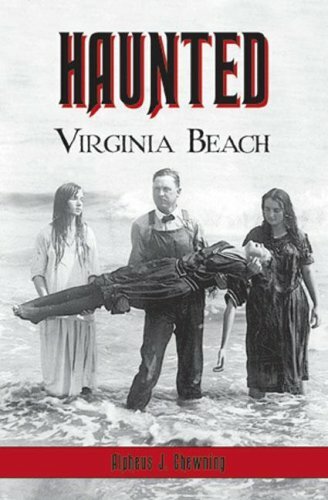 Al Chewning owns and operates the Virginia Beach Ghost Walk. He is a member of the Virginia Storytellers Alliance, the Association for the Preservation of Virginia Antiquities, the Civil War Preservation Trust and serves on the board of advisors at the Old Coast Guard Station Museum. This is his third book.